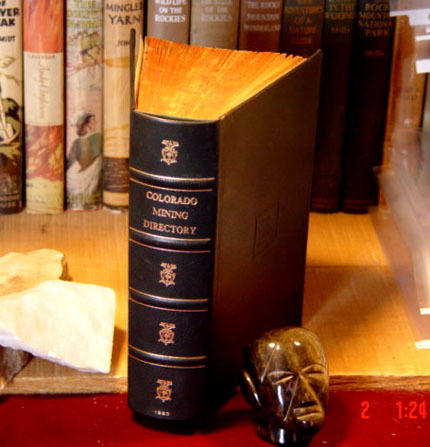 Containing an accurate description of the Mines, Mining Properties and Mills, and the Mining, Milling, Smelting, Reducing and Refining Companies and Corporations of Colorado. Arranged alphabetically by Counties. Robert A. Corregan and David F. Lingane, Editors and Compilers. 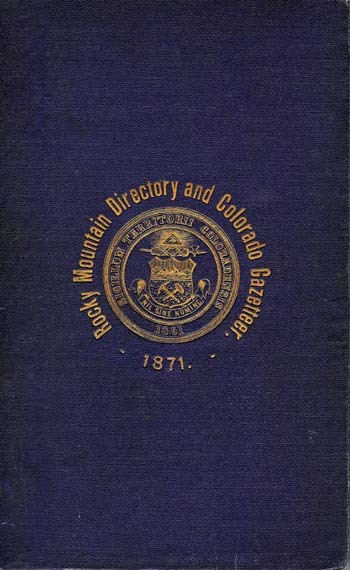 The Colorado Mining Directory Co., Publishers, Denver, Colorado, 1883. 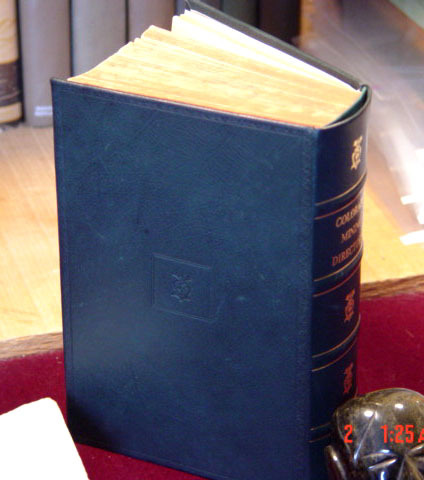 Original edition: 908 pages; advertisements in both the front and back of this detailed volume. This book has been rebound in modern leather; tooled covers and spine; gold-print on spine; marbled endpapers. Condition: binding is fine; contents are in near fine condition. 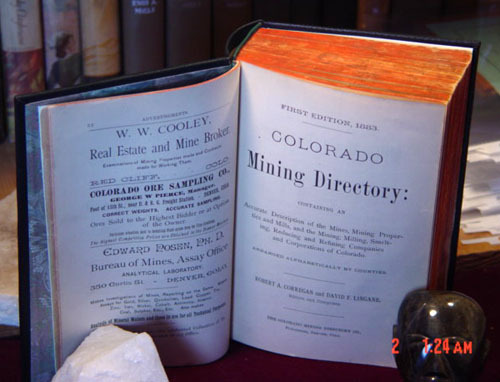 This is one of the most informative books on mining operations in Colorado in the early 1880s. It covers in detail mining in the following counties: Boulder, Chaffee, Clear Creek, Custer, Dolores, Eagle, Fremont, Gilpin, Gunnison, Hinsdale, Jefferson, Lake, Ouray, Park, Pueblo, Rio Grande, Saguache, San Juan, San Miguel, and Summit.